Mrs. Julie Womochil has been the preschool teacher in our preschool program since 2009. Her teaching experiences include Early Childhood Special/ Early Childhood Education, a 2nd grade classroom teacher, and teacher of children with severe and multiple handicaps in Kansas, Indiana, and Colorado. Her undergraduate work was done at Emporia State University in both early childhood education and elementary education. She holds a Masters degree from Kansas State University in Early Childhood Special Education. Her passion remains teaching very young children, supporting their parents and collaborating with the many professionals and support staff who make our preschool and school such a wonderful place. It does indeed take a village . She and her husband, Michael, grew up, and taught in Kansas. It was a dream come true when they were actually able to move to Colorado in 2008, and to Manitou in 2013. Two of their three children, and three grandsons also live in our area. The entire family, along with two spoiled hounds, joyfully continue to discover, camp, hike, and celebrate the diversity and beauty of Manitou, and Colorado. 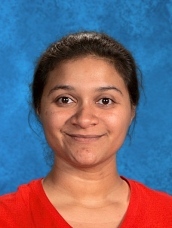 Hi, I am Natascha Leonardo and I couldn't be more excited to be a member of Manitou Springs Elementary School. I have wanted to work here for years and am finally blessed with the opportunity to teach to the whole child and let the creativity and rigor flow! For the past eight years, I taught second grade in District 2 at Soaring Eagles Elementary and I look forward to the new challenge of teaching third grade! I am the lucky mom of three littles (6,4 and 2), one of whom will be in the first grade here at Manitou Elementary! We love anything outdoors from hiking to biking to skiing. I particularly love distance running and the clarity and freedom it gives me. I can't wait to meet all the amazing students and parents of this community. I am Maestra Alejandra Lillemon and have the honor of being a Spanish teacher here at MSSE. I was born in Chiriqui, Panama then attended the Nacional Universidad de Panama and received my Law Degree and worked in Family Law. I moved from Germany to Colorado in July 2016 and love the sun and mountains here. hobbies include reading, gardening, being with family, and enjoying the outdoors. 14 from kindergarten to graduation and two grandchildren who light up the world! Kelly loves being a part of the Manitou District 14 family. I have been teaching at MSES since 1994. I have taught kindergarten, Title 1, 3rd grade and 2nd grade. I am now loving my position as Math Interventionist. I graduated from UCCS with a bachelors in psychology and then a couple of years later went back and got my certificate in elementary education. My daughter and son both graduated from MSHS. They are both currently serving in the the military. I love teaching in Manitou! Vanessa Roberts is excited to return to Manitou Elementary as a member of the Special Education team! She attended Manitou from Kindergarten through High School, and is now proud that her oldest son, Robby, is a Mustang in Kindergarten. Vanessa and her husband, Rob, also have another son, Jack, who will be joining Robby at Manitou in a couple years. 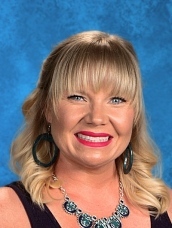 Vanessa graduated from the University of Arizona in 2008 and began her teaching career in Tucson, AZ. She moved back to Colorado in 2013, and took some time off as a teacher to be a full-time mother. Her passion for teaching, coupled with the opportunity to be back in Manitou, has Vanessa filled with enthusiasm and pride. When Vanessa is not teaching, she enjoys gardening, hiking, traveling, and spending time with her family. Denise Spangler spent 20 years trying to get to Colorado on a permanent basis and has since been a resident of Manitou for about 20 years. 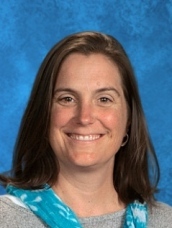 She is the Speech/Language Pathologist serving Manitou Springs Elementary upper grades as well as Manitou Springs Middle School and select students at Manitou Springs High School. She earned her undergraduate degree from the University of Kansas and her M.A. in Communication Disorders and Sciences from the University of Northern Colorado. She holds her Certificate of Clinical Competence from the American Speech/Language Hearing Association. 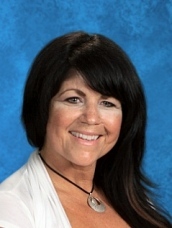 This year will mark Denise’s 28th year as an SLP and her 12th year in the Manitou Springs School District. Denise and her husband, Chip, have two children. The Spangler family keeps busy with travel, cycling, running, reading and gardening. 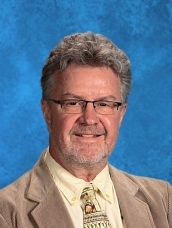 I have been joyfully serving Manitou Springs Schools, as the District School Psychologist since 2003. I serve students in Pre School through 12th grade and/or transition. I received my Bachelors of Science degree in Occupational Therapy from Western Michigan University. Practicing as an Occupational Therapist in California at UCLA Medical Center and Long Beach Memorial Hospital, I specialized in Traumatic Brain Injury. After moving to the beautiful state of Colorado, I worked at Penrose St Francis for over 13 years. In my last role, I served as the Director of Rehabilitation for all inpatient and outpatient services for multiple locations and hospitals. During that time, I attended graduate school at UCCS and received my Masters in Psychology with an emphasis in clinical psychology and memory impacts of aging. In an effort to create more balance with my family of 3 children, I again went to graduate school at University of Northern Colorado where I received an EDS degree in School Psychology. I currently am licensed through Colorado Department of Education as both a School Psychologist and Occupational Therapist, as well as having national certification in both professions. I love my job working with students of all ages alongside their families and educators. My husband Phil and I have 3 children, our son recently graduated from CSU, our daughter attends college in Washington, and our youngest son is a Junior in high school. Our dogs are also a part of our family, Rosie, yellow lab and Bodie (golden doodle). As a family we have great passion for the outdoors and take it all in with cycling, skiing, hiking, swimming, and gardening. Life is Good! Kaitlyn is a part time district nurse who will be working at Manitou Elementary. Kaitlyn is a second generation Manitou alumni, and graduated from MSHS in 2010. Kaitlyn attended nursing school at UCCS/Beth-El and graduated in 2014 with her BSN. Kaitlyn currently works part time as an ER nurse at St Mary Corwin in Pueblo as well, and has also been a volunteer firefighter for Manitou Springs Fire for 6 years. Kaitlyn's husband is a full time firefighter for Colorado Springs, and they have two daughters. Kaitlyn is excited to join the MSSD14 team for the upcoming school year. Lisa Kadlec has been working with Elementary School children since 1998. She started as a volunteer and soon after became an Administrative Assistant that she loved for many years. Over the years she has worked side by side with several Nurses and many students. She believes children should always come first as they are our future. She is a Colorado Springs native and married her High School sweetheart. She has two adult children Nicholas 25 and Mindy 23 who are the sunshine of her life. Lisa loves the outdoors and the mountains. She spends the weekends riding her motorcycle and relaxing at the family cabin. Julie Lavigne joined the preschool staff at Manitou Springs in 2014 with her love of music, art and storytelling. 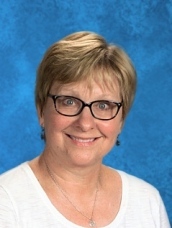 She has been present in the Manitou school district since her years as a student from Kindergarten through 12thgrade as well as an officer on the PAC and a substitute teacher. She wholeheartedly loves the community and the district and has had 3 children as Manitou students as well. She arrived at the preschool after time with E11 Creative Workshop where she discovered her love for nurturing young people through creative processes in a safe and loving environment. She truly loves being a native of this beautiful place and embraces every grateful moment with her husband and two boys. She enjoys spare time surrounded by a rich group of many family and friends hiking, cooking, singing, dancing, gardening, and more. Agnes grew up in Manitou and is so excited to be working amongst many of her former elementary school teachers, as the Media & Computer Technician. She is studying Multimedia Graphic Design at PPCC. In her free time, Agnes loves reading feminist science fiction novels, hanging out at the Manitou Art Center, and picking up a different hobby every week - right now it’s the flute. Check back to see if that lasts. Judi has been on the Nutrition Services staff for 7 years. She is currently the Central Kitchen Manager and takes care of preparing our salad bars and specialty salads for all four Manitou schools. She is married and has three daughters and a son, seven grandchildren and four great grandchildren. For the past 25 years she has had a love affair with the Garden of the Gods. If she isn’t at work, that it where you will find her. My family and I recently moved here form Northern Colorado. I am so happy to be in such a beautiful place with such a great community. I have 3 children of my own who attend Manitou Springs schools. Our family loves to be outdoors hiking, biking and swimming as much as we can. I grew up near Annapolis, Maryland and we moved to Colorado in 2012 with the Army. I am the proud mom of a Manitou 5th grader and I am so excited to be working at MSES! In my free time, I enjoy creating (food, art, anything) and being outdoors as much as possible with my family and our two dogs. I also enjoy reading and learning about history.